As you you may know, I’ve just returned from a week in Madrid. 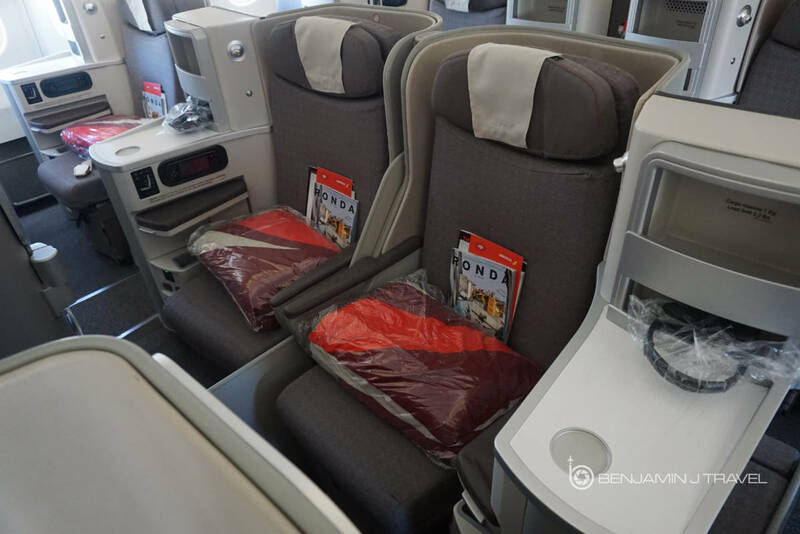 Originally booked on American Airlines for the flight home, I changed my return journey and booked an Iberia Economy Class award for 20,000 Avios from Madrid to Chicago. 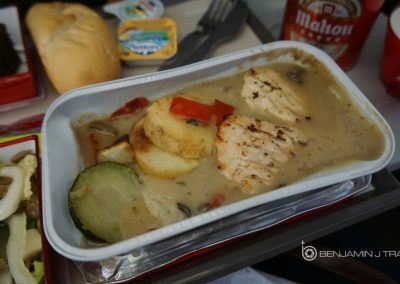 I’d never really had a great experience with Iberia before but for 20,000 Avios, it was a cheap way to get home. Madrid is an airport where you need to arrive a bit early. While it’s a beautiful airport (specifically Terminal 4/4S), it’s expansive and transiting between terminals can take quite a while. 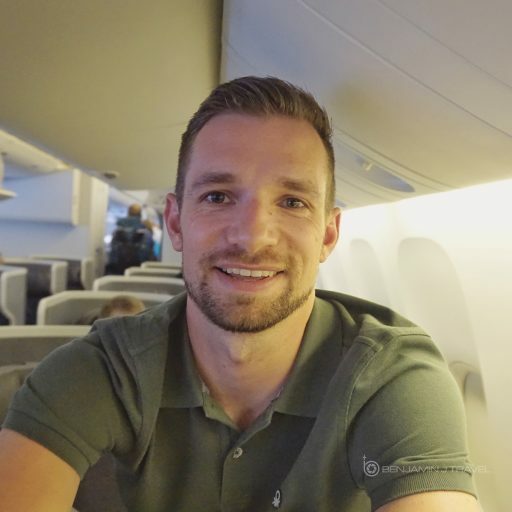 I wrote a bit about the ground experience in a prior post about the extra steps I had to go through to to use my oneworld elite benefits on the ground in Madrid. 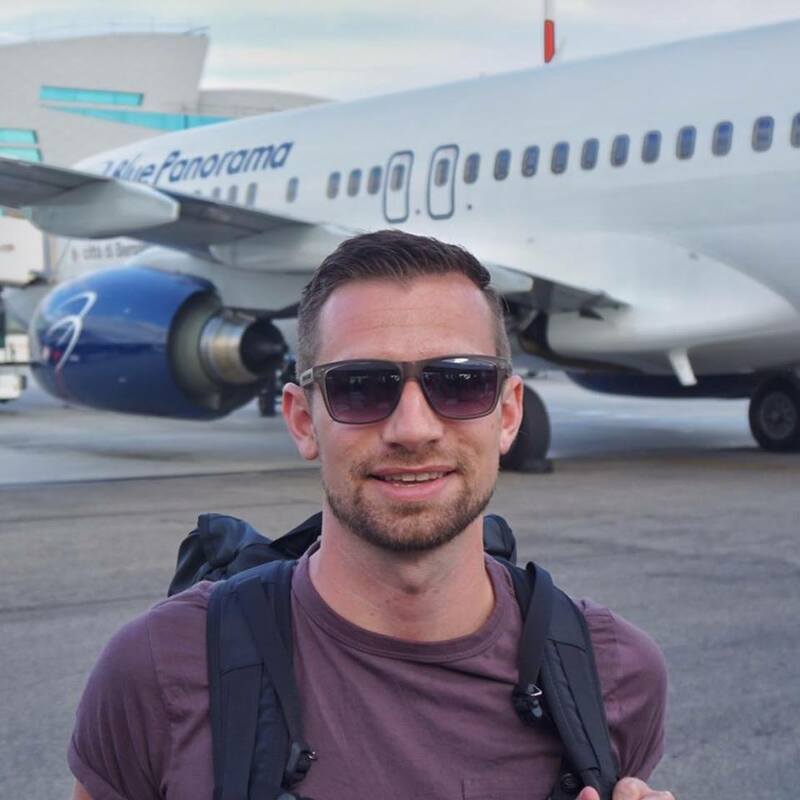 Ultimately, everything worked out for me with fast track access, lounge access and Priority boarding. 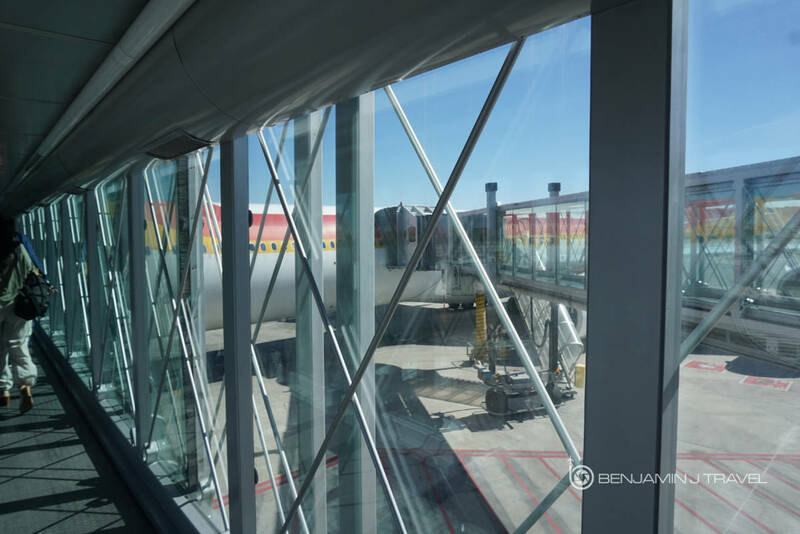 I spent some time in the Iberia Velázquez VIP Lounge in Terminal 4S to grab a light breakfast and catch up on a few emails. The Iberia Velázquez VIP Lounge is currently undergoing renovations so the lounge is reduced to about half of it’s usual size. 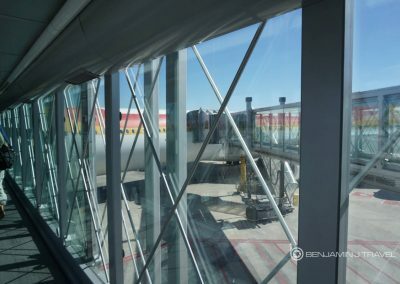 Iberia makes boarding announcements for every flight in the lounge but I took it upon myself to monitor my boarding time as I wanted to head to the gate early. I was glad that I did leave early as the boarding area for U.S. bound flights was a zoo. I cleared the secondary screening area and walked towards my gate. There were about 6 gates behind one secondary screening zone. To my surprise (or lack of), my flight was already beginning boarding over 20 minutes early. I beelined for the Priority boarding area which was nearly empty. 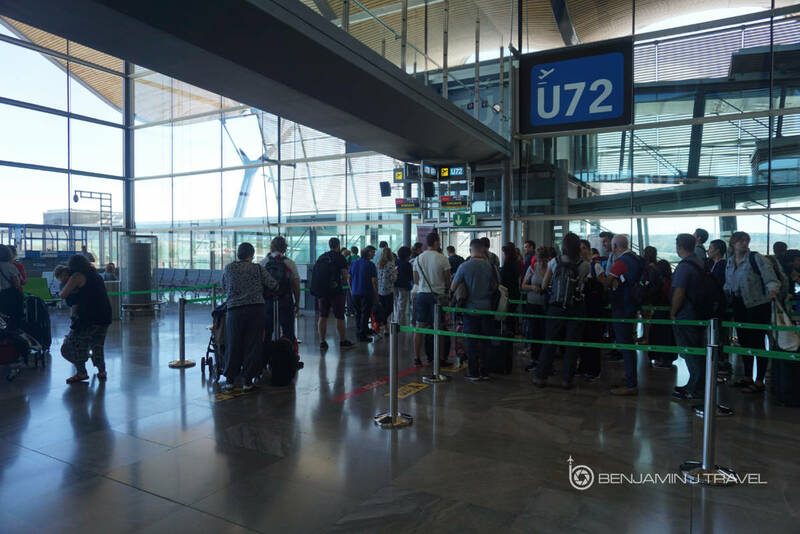 The main cabin boarding area had a line of over a hundred people already. 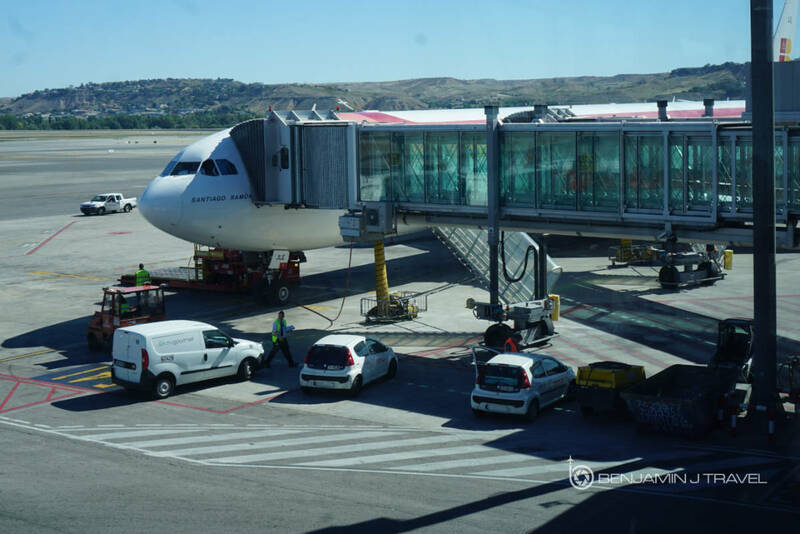 I noticed that our aircraft was in the older Iberia livery which I think a very classic livery. 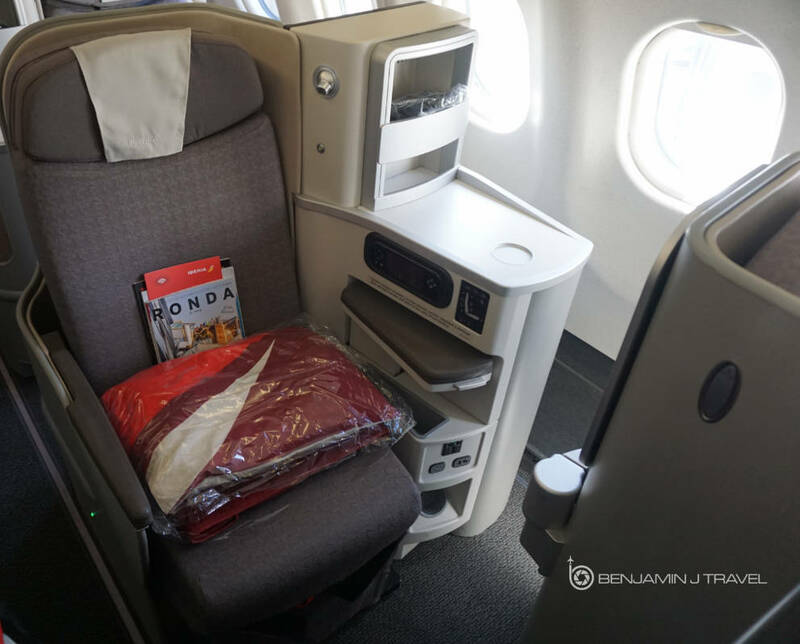 Relieved to be able to board right away, my boarding pass was scanned and I boarded through door 1L, positioned ahead of the Business Class cabin. 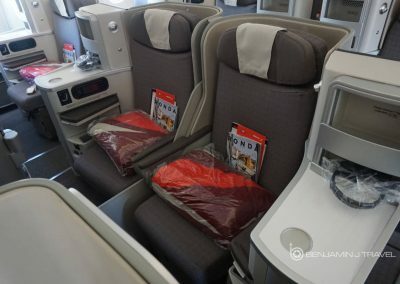 I snapped a couple quick photos of Business Class before heading past Door 2L and taking my seat near the front of the Economy Class cabin in 19D. 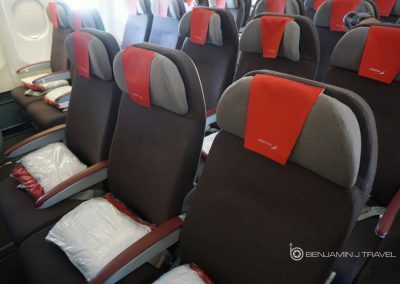 The Iberia A340-600 Economy Class cabin is in a 2-4-2 configuration with the exception of the last two rows as the cabin narrows. 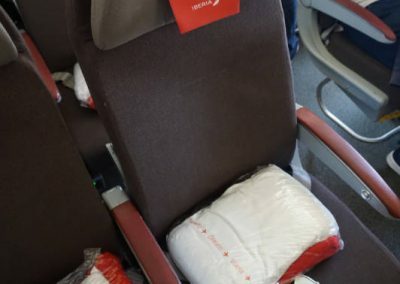 I would highly recommend avoiding the last two rows of Economy Class: rows 52 and 53. 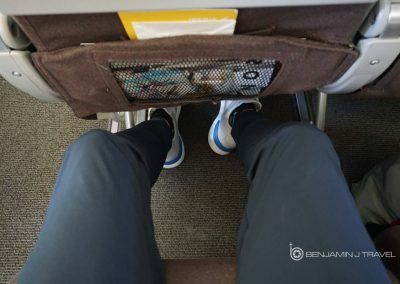 Seat 52D does have extra legroom due to a missing seat but the lavatory door will be a huge annoyance. 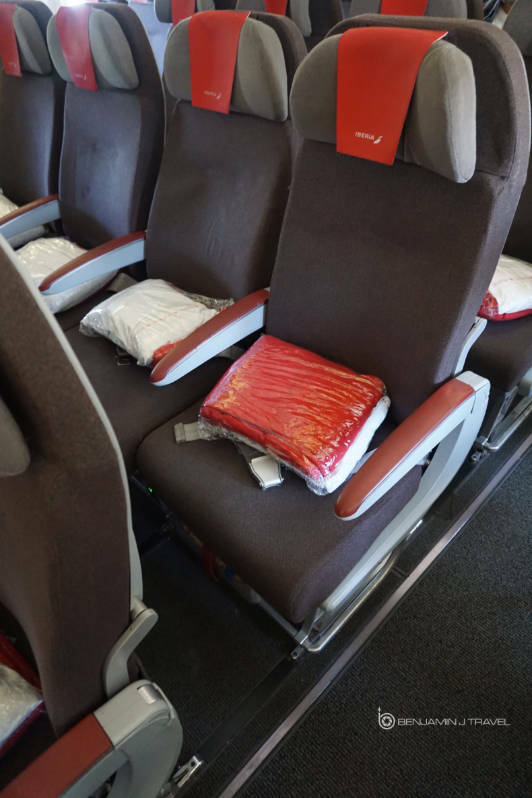 There are not lavatories at the front of the Economy Class cabin. They are located near rows 38 and 52. 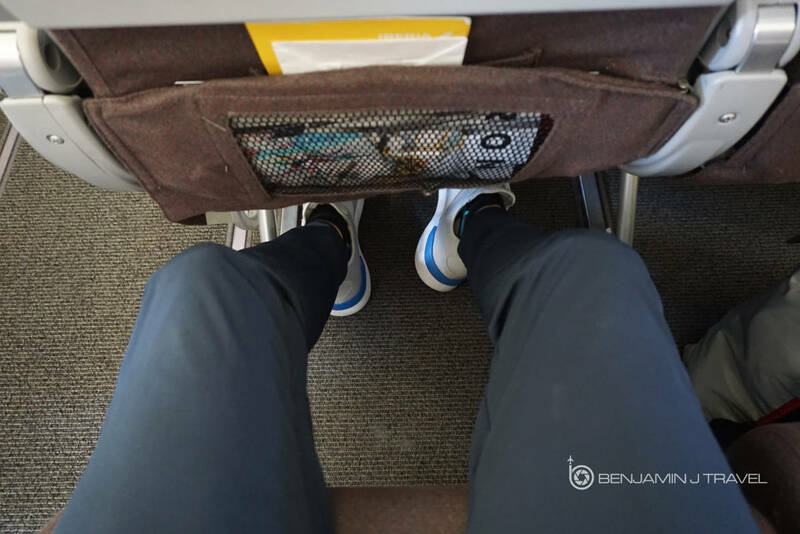 My seat, 19D, is an aisle seat in the center section of the Economy Class cabin. 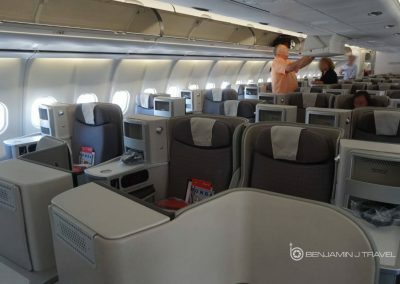 Some airlines have failed to update their A340 interiors in a while but Iberia’s A340 Economy Class cabin is actually somewhat modern. 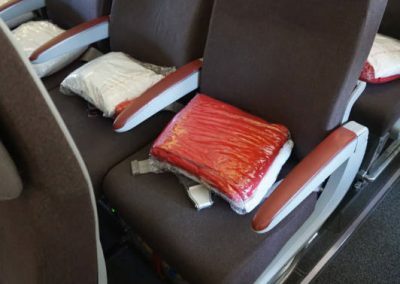 There was a packaged pillow and blanket at every seat in Economy Class. 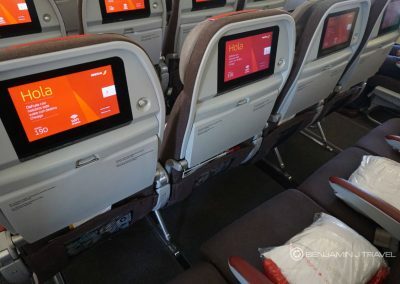 The seat fabric and IFE screens are relatively new. 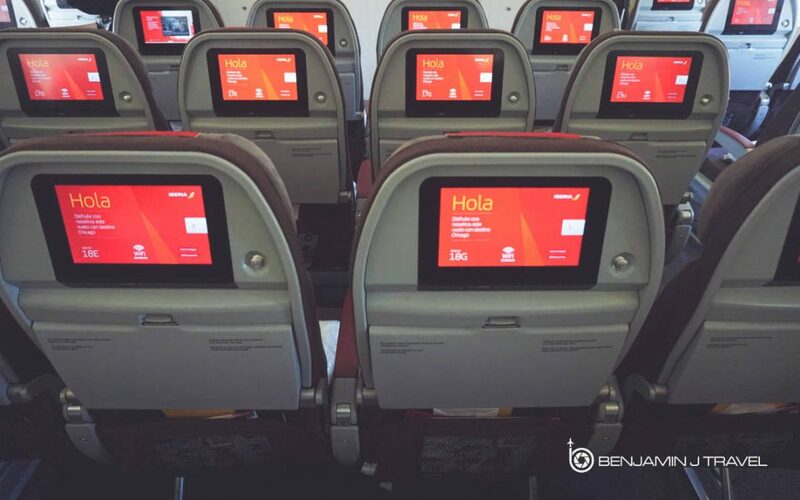 The Iberia IFE system has to be one of the easiest to use and the movie selection is decent. 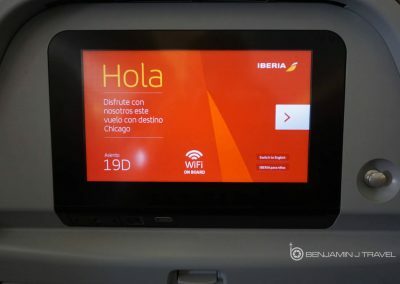 Iberia does offer in-flight WiFi but I didn’t utilize it. There is also a GSM network on board which can be used to make calls and send text messages, The rates vary by your mobile carrier. Boarding was a bit long as there were many large families and children on board. 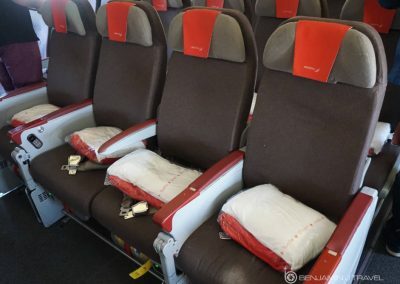 The crew did a great job of helping everyone needing extra assistance in their seats in a prompt and polite manner. 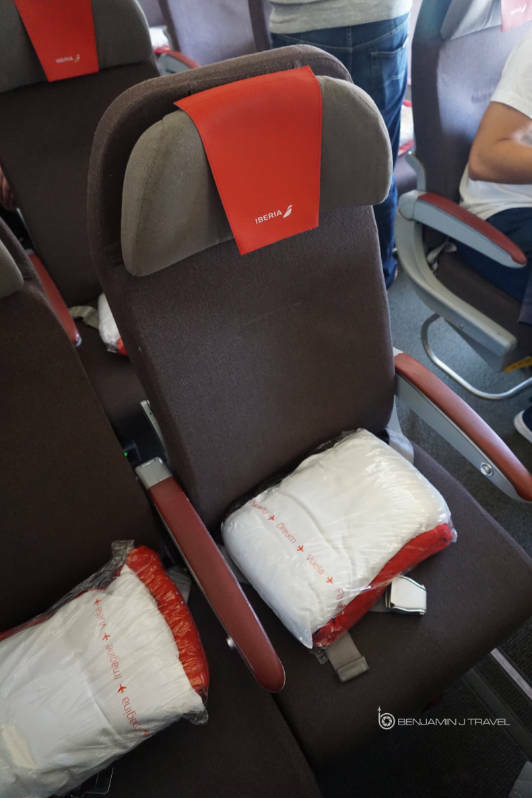 The temperature on board was initially sweltering but fortunately the air conditions came on quickly after boarding started. 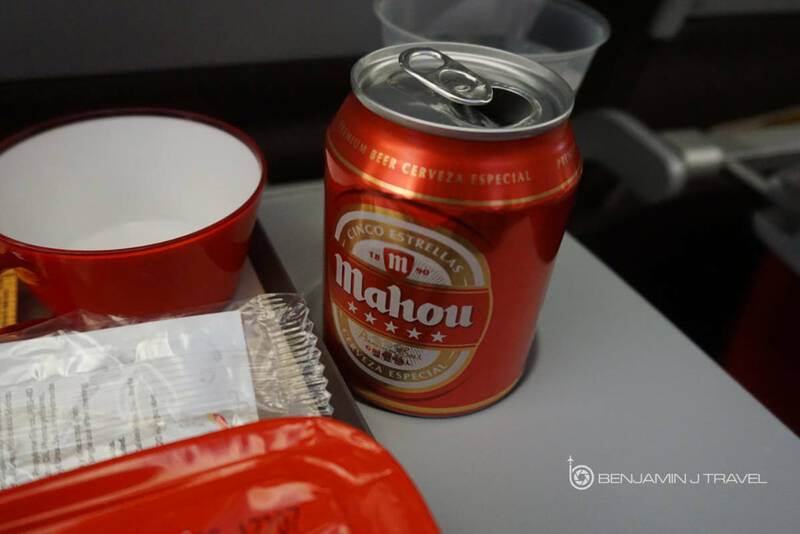 We pushed back from the gate right on time and had a quick taxi and takeoff out of Madrid. 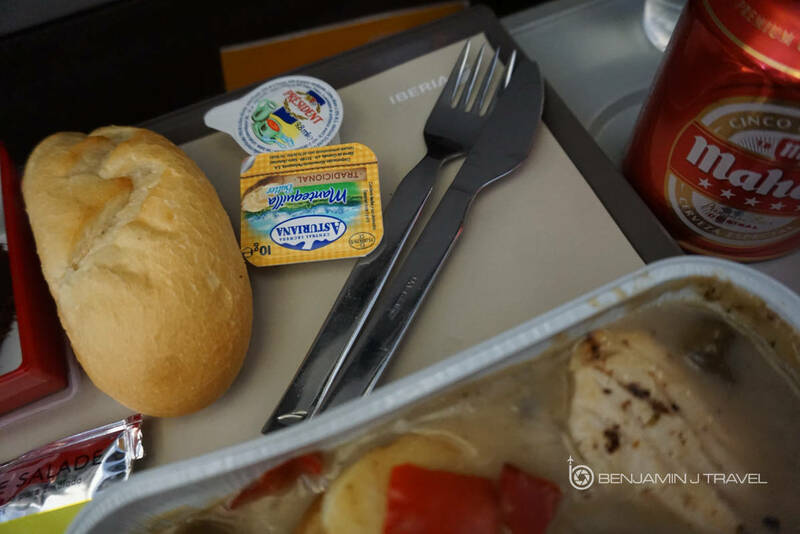 About 20 minutes after takeoff, we reached out cruising altitude and the crew announced our lunch price would begin. 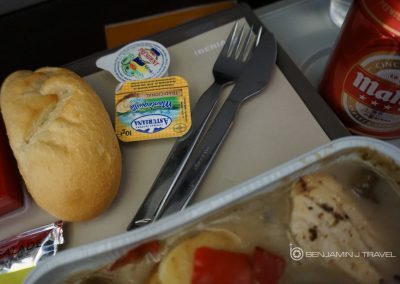 Lunch service started about 45 minutes after takeoff and Economy Class passengers were offered a chicken or pasta entree, beverages, and bread rolls. 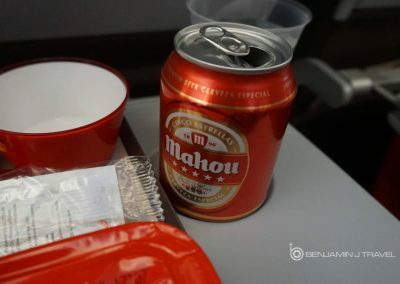 Beer and wine are complimentary in Economy Class. 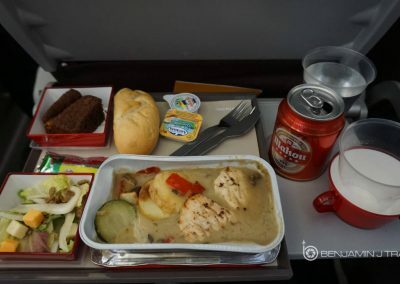 I was surprised to see the Iberia hands out metal cutlery instead of plastic in Economy Class. 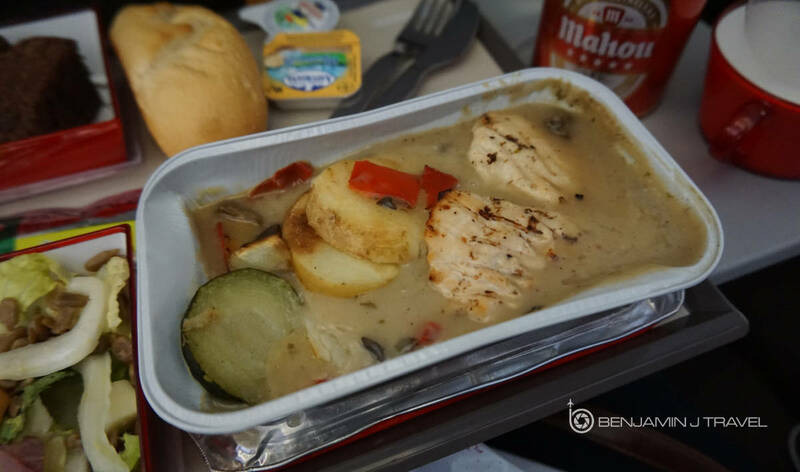 I opted for the chicken entree which was fairly tasty for an Economy Class meal. After the main lunch service, trays were collected and coffee and tea were offered. Multiple refills were offered on coffee and tea as well. 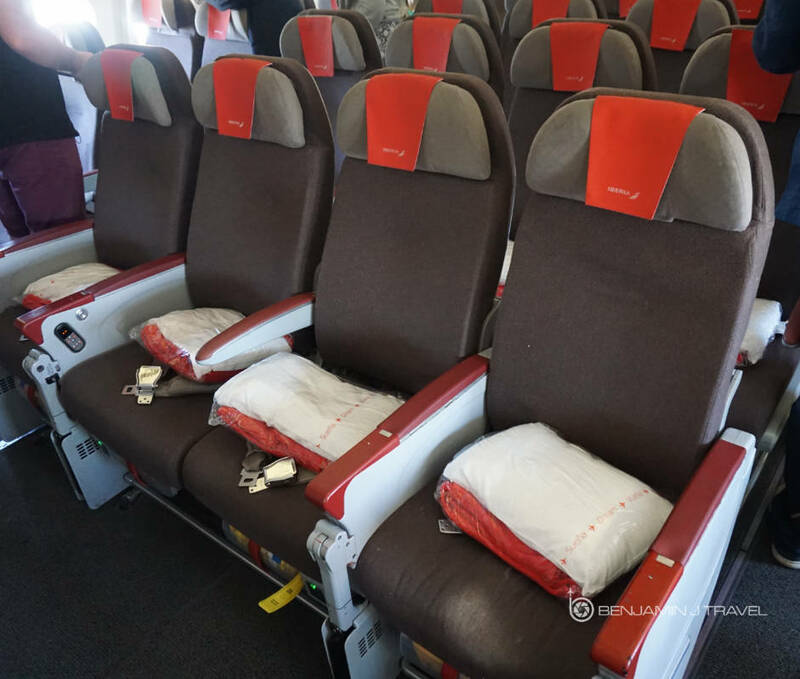 All the flights attendants in our section were extremely polite and friendly throughout the flight. 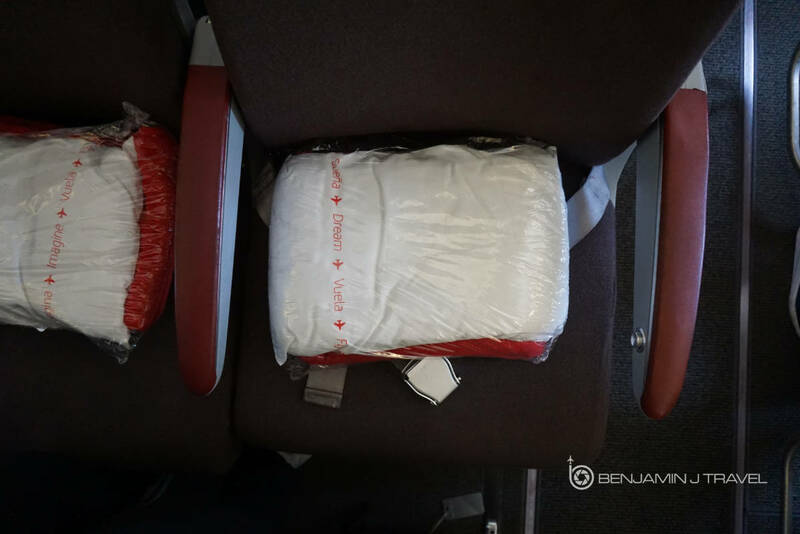 I usually sleep on long-haul flights, even during the day time. But I was quite rested on this particular travel day so I stayed awake the whole flight. 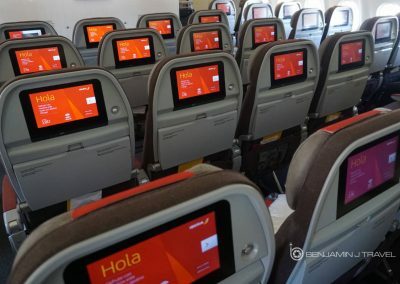 I caught up on a bit of work on my laptop (even without using the WiFi) and watched several movies on the IFE system. 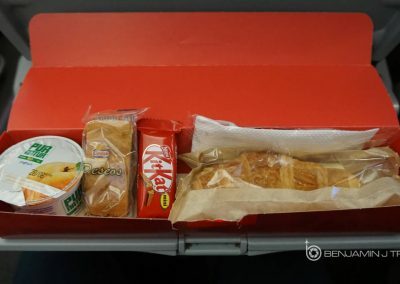 There was no mid-flight snack service. Some of the passengers were a bit annoying and spent a lot of time out of their seats, socializing in the aisles. There were also a few crying babies which is always interesting. Also, noticeably, there was soap missing from two of the lavatories on board which was a bit gross. I made sure to ask the crew to locate some hand soap. 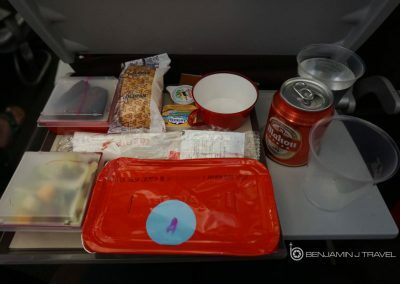 About 90 minutes before arrival in Chicago, the crew began the pre-landing snack service. 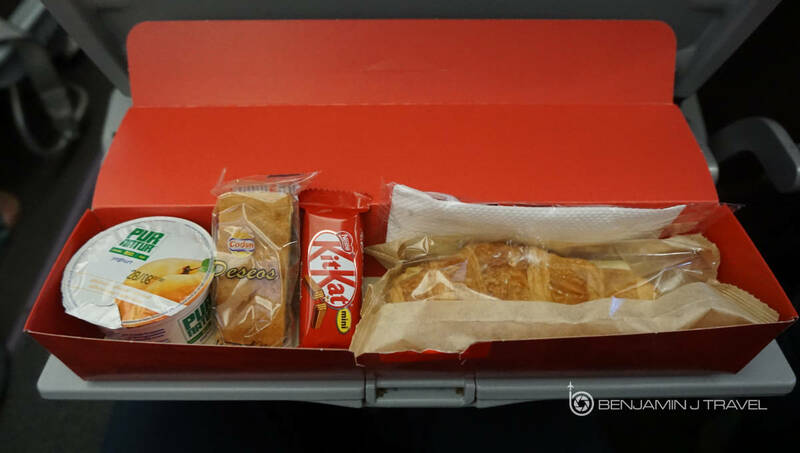 Beverages were offered along with a snack box which included a croissant sandwich, yogurt, and a couple of sweets. It may have been pre-packaged but the sandwich was quite good. 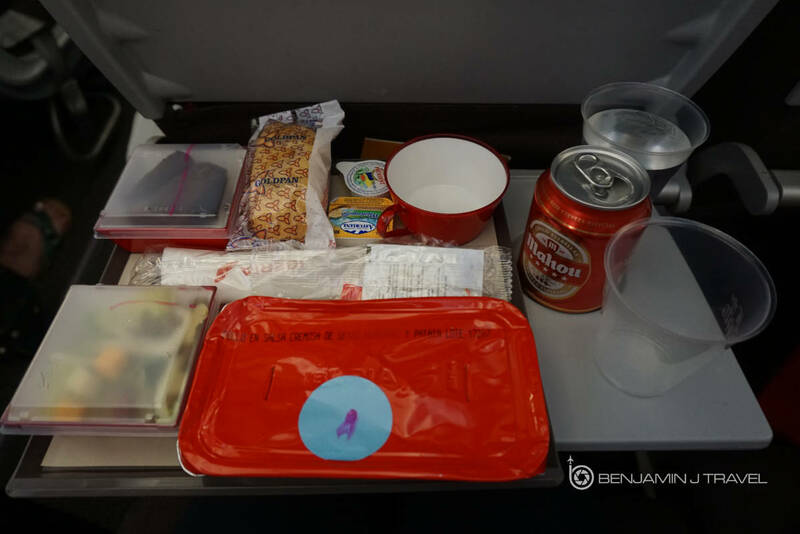 Coffee and tea service were offered again by the crew. About 30 minutes before landing, any reaming service items or boxes were collected. We soon had our final approach into Chicago after a short hold over the the city. We touched down in Chicago a couple minutes early but our taxi to the gate was quite long. But it’s Chicago O’Hare so that’s to be expected. We arrived at our gate at Terminal 5 and we deplaned rather quickly after a short wait for Business Class to deplane. 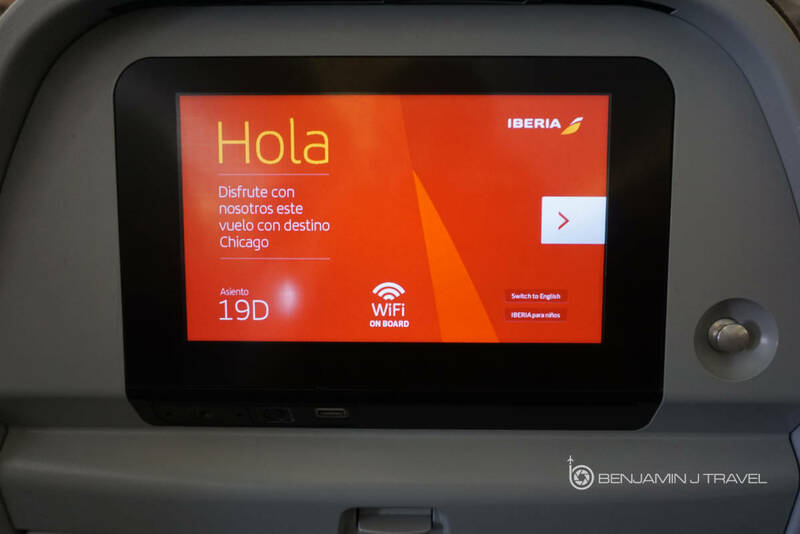 After my last misconnect at Chicago O’Hare, I was very happy to arrive on-time in Chicago. 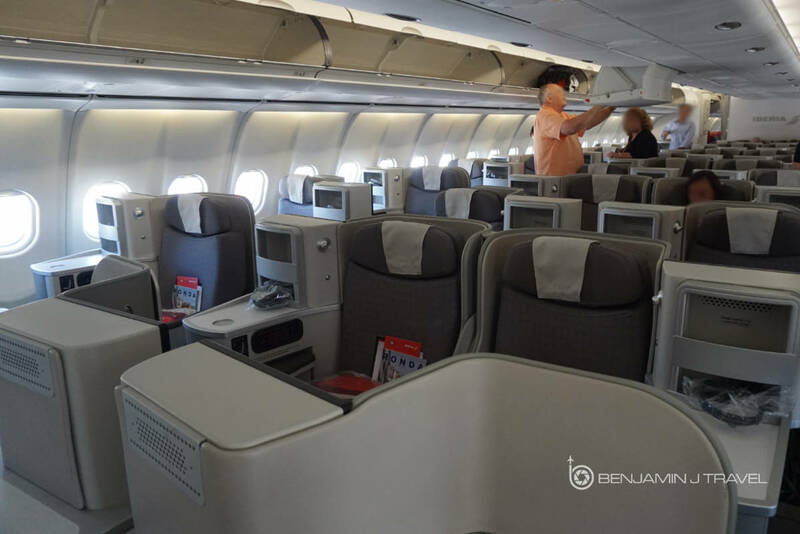 Overall Iberia Economy Class on the A340 was a mostly enjoyable experience. 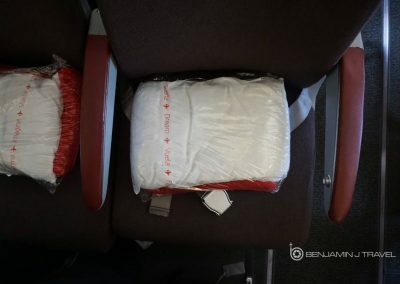 The passengers on this particular flight were a bit annoying but the overall Iberia experience was pleasant. There were a couple of minor annoyances like the missing hand soap in the toilets but overall not a bad flight. 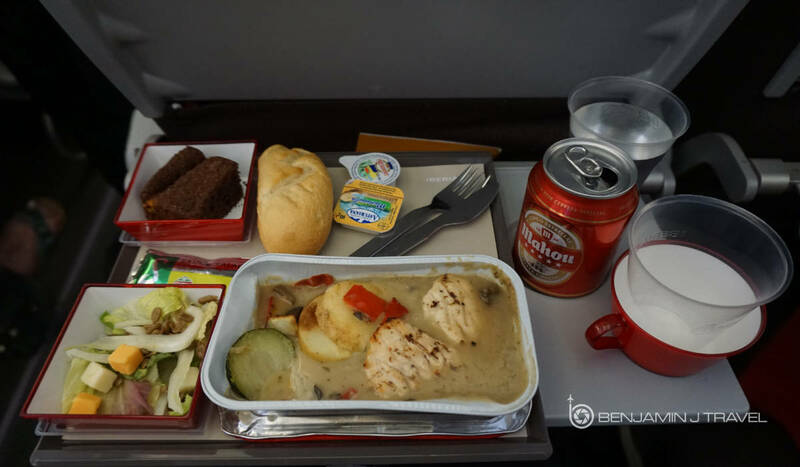 The Iberia crew was remarkably polite and friendly and the meals were good for Economy Class. 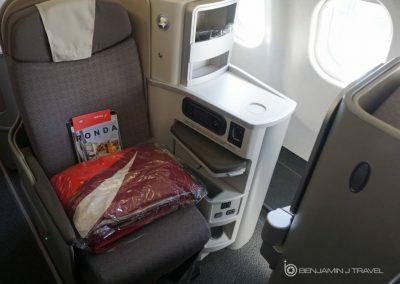 After being initially worried about flying Iberia long haul, I was pleasantly surprised to have a nice flight. 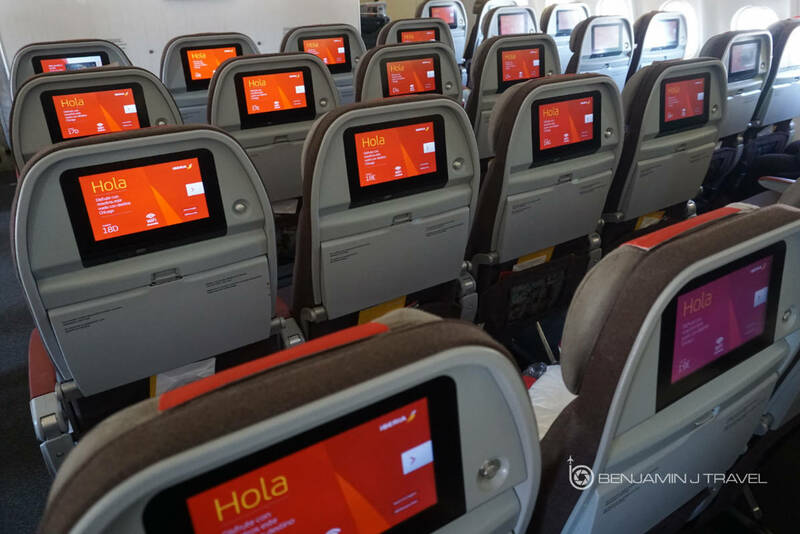 Have you recently flown Iberia long-haul? What was your experience? I’d love to hear your thoughts in the comments below.